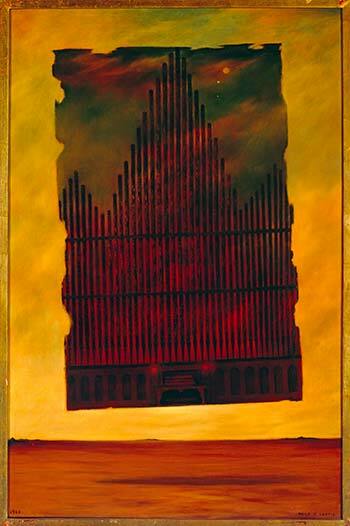 This painting is called The Organ and it was inspired by the pipe organ at the First Baptist Church on Jackson St. in downtown Jackson. When Phil Curtis’ father died he painted angels high on the alter in honor of his father. You can see them today along with the beautiful organ.